This doesn’t look good. We’re heading towards a towering wall of water that has capsize written all over it. We paddle hard, digging deep into the swirling river, hoping to power through. We hit the wave square on and the raft is flung skyward. Suddenly, I’m paddling through thin air. And I’m no longer in the raft. Everyone else has managed to grab the safety rope but I’ve been catapulted into the middle of Terminator 2, a Class 5 rapid. I surface, wide-eyed with fear, and look for help. Seconds later a support kayak appears and tows me through the churning waters back to the boat. 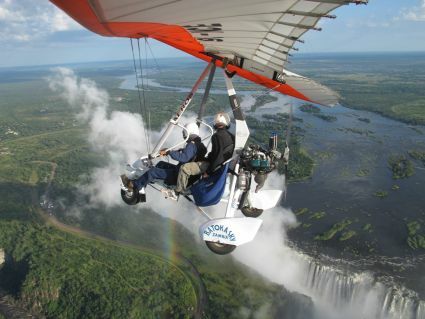 This entry was posted in Zambia by Rob McFarland. Bookmark the permalink.